Manticore Arms Transformer Rail Video – The Most Versatile AR-15 Rail So Far? Quite simply, the Manticore Arms Transformer Rail for the AR-15 is the most versatile rail I’ve seen yet. That statement probably breaks some unwritten rule about giving away the conclusion at the beginning of a review, but you’ll still want to watch the video after reading the story! 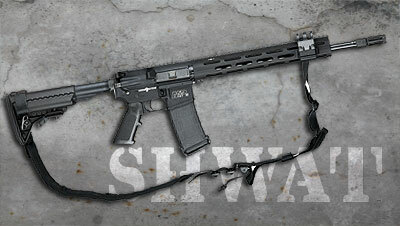 AR-15 handguard or rail designs boil down to function, fashion and finances, though not necessarily in that order. Years ago when I got one of my first AR-15s it came with the old school oval plastic handguard. It did what it was intended to do, but need and innovation conceived and the quad rail was born. That updated the function and fashion of the platform so I joined the fray and bought my first, a generic hand grating one. Finances played in and I didn’t get the bomb proof one all the cool kids were getting. But after selling that gun I upgraded and had the funds to get the quad rail that the high speed-low-drag-guys had. Not because I NEEDED all that rail space, just some of it. I had an EoTech sight, a LaRue forward grip, a flashlight and sometimes a laser for night hunting…. But times change, preferences change and soon lightweight slick sided rails hit the scene and the quad rail became largely antiquated. Less became more, but then we buyers of all things AR related discovered it would be nice to mount some accessories while still keeping the weight down and keep a clean profile. Moreover, we wanted to be able to change accessories out easily for fun, or perhaps reconfiguring a home defense gun as a night hunting rig for the weekend. So Keymod was introduced as a universal mounting system. And because competition is awesome, we also have the M-Lok system. Both allow the mounting of Picatinny rail sections, lights, and other accessories precisely where we want them while saving the weight and expense of the older quad rail designs. But what if you end up with accessories for both systems? You’d want a rail that would accepted both Keymod and M-Lok. And if that’s possible, why not add optional panels that would provide a much better grip on the rail? And then because fashion matters, what if we took G10 material and sculpted grip panels to match the designs from Executive Ordnance? Well, that’s the Transformer rail from Manticore Arms. It is the most configurable, customizable rail I’ve personally seen. You can put Keymod attachment slots next to M-Lock. You point the Keymod slots in opposite directions if you’d like. You can dress up your gun, or run the rail stripped and super light. And the Transformer Rail is definitely lightweight, 7.4 ounces to be exact. 10.4 ounces with the proprietary barrel nut. There are six available locations for grip or accessory panels, two each at 3, 6 and 9 o’clock. The polymer grip panels weigh in at .3 ounces each, so add up to six and you have your all-in weight. This is a narrow rail, only 1.5” externally and 1.09” clear internally. You won’t be putting a silencer under the Transformer Rail. Mantiore Arms has only released a 13 inch version at this time. Needless to say, I like the rail. I like the idea that I can quickly reconfigure the gun for any variety of missions. I don’t need my Wilcox RAPAR Lite DBAL/light for home defense or shooting Tannerite, but if my friends at Spike Box Ranch call and say to come up and hunt hogs tonight, I’ll quickly make the needed adjustments and head out. I added the Transformer rail to a build based on an ambidextrous matched receiver set from San Tan Tactical (something that deserves its own review) . The video doesn’t just show the features of the rail, it shows how to mount it to your AR-15. Other components on this build include a Young Manufacturing Bolt Carrier Group, Timney two state trigger, Executive Ordnance grip, Hogue Buttstock and Go Guns Comp and Battle Arms short throw selector. We’ve covered function and fashion. Both are excellent. So are the finances. The Manticore Arms Transformer Rail starts at $185 with optional add on panels available. 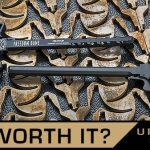 Review: Smith and Wesson’s New VTACII Rifle–It’s Got Tactical Hog Hunting Written All Over It! 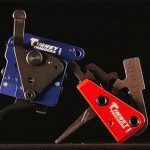 This entry was posted in Special Hunting Weapons & Tactics™ - The Center of Gravity for Tactical and Long Range Hunting and tagged AR15, Manticore Arms by Jonathan Owen. Bookmark the permalink.